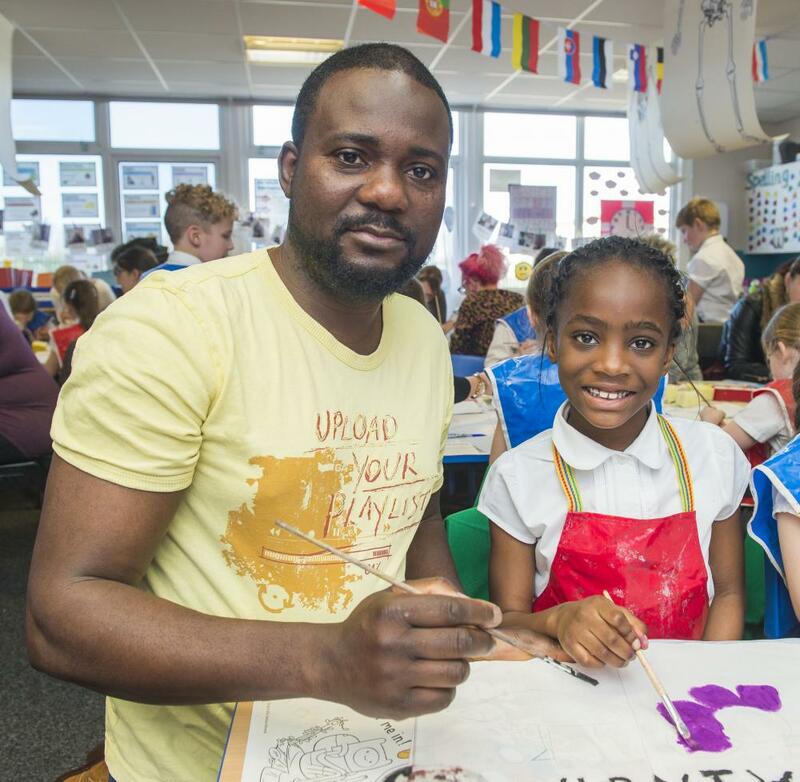 Parent Stephen Otu joins his daughter Juanita (Year 3) to paint a flag for Immingham on a Shared Learning Afternoon at Pilgrim Academy. Pilgrim Academy pupils and their parents flew the flag for Immingham as they expanded their project on Europe to include their hometown. The Year 3 and 4 children studied the features of each European country, including their flags, before turning to Immingham and what it has to offer. The pupils were then joined by parents on a Shared Learning Afternoon to paint their flags.